Photo: Mardi Gras Parade Marker can be seen in far background. Caption: Mardi Gras Parade Marker can be seen in far background. 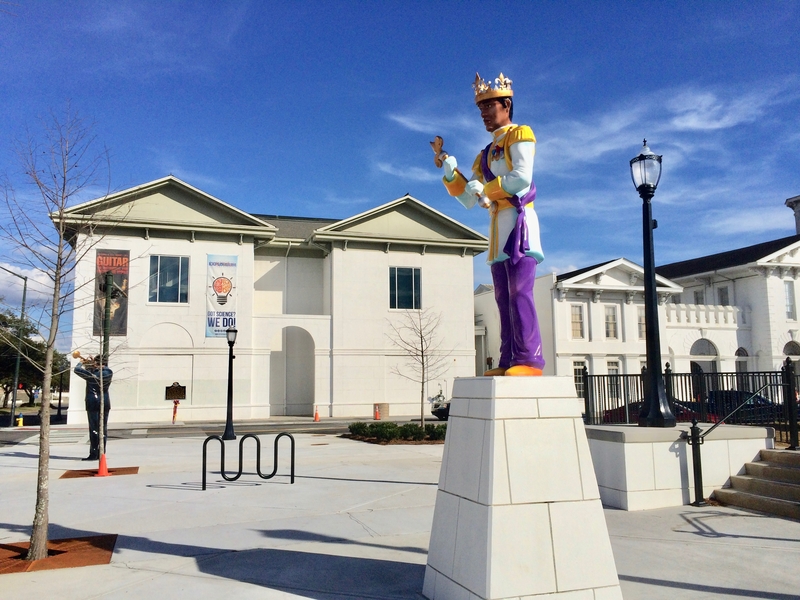 Additional Description: The king statue in the foreground represents the Mobile Area Mardi Gras Association. The Gulf Coast Exploreum Science Center, IMAX Dome Theater & the History Museum of Mobile are behind the marker.